Malaysia’s top female atomweight mixed martial artist Jihin “Shadow Cat” Radzuan warned the Philippines’ Gina Iniong that striking is not her weakness. The Johor Bahru-based athlete was responding to Iniong’s statement last week where she mentioned that Jihin’s stand-up martial arts expertise was one of her vulnerabilities. “Gina might have been seeing recent videos of me from my ONE Championship bouts,” Jihin revealed. The young Malaysian is seeking her fifth career victory at ONE: CLASH OF LEGENDS in Bangkok, Thailand this coming Saturday, 16 February. She is confident in her wrestling and jiu-jitsu skills, but she has no issues trading strikes with the Team Lakay athlete at the Impact Arena. “I even know my grappling is better, but if she chooses to stand with me, I can take it,” she calmly said. Jihin’s ONE debut in March saw her showcase impressive grappling and a strong ground game against India’s Puja Tomar. Her second and third showcase was a similar affair, but “Shadow Cat” displayed more offensive ability in both encounters. “When I watch my first match again, I feel that I was more hesitant to strike. Maybe I was nervous, and I think Iniong feels that I can’t strike based on this match,” the Johor Bahru resident said. “Against Priscilla [Hertati Lumban Gaol], I struggled with my striking, too, but it was a whole lot better compared to that fight against Puja. 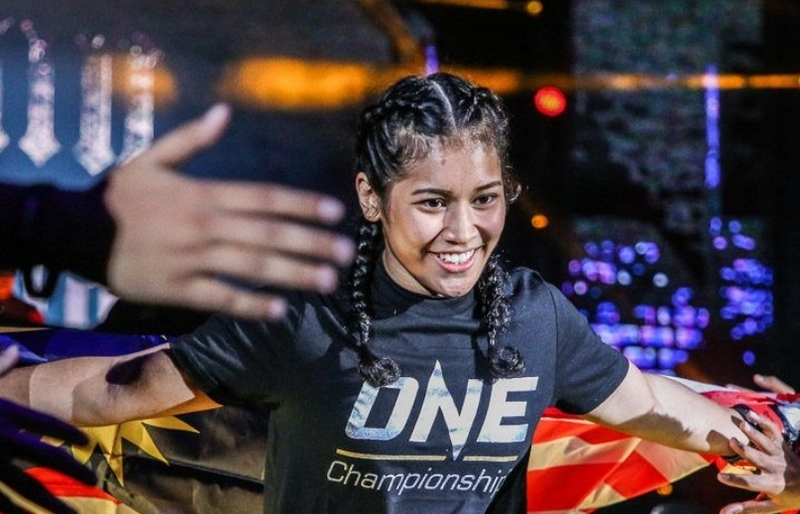 Jihin is aware of her opponent’s world-class martial arts background and veteran expertise, but she refused to heap too much praise on her Philippine adversary. “Her experience and record are better than mine. But as an athlete, we cannot underestimate ourselves. Iniong is a very good athlete, and I’m honored to go up against her,” she said.